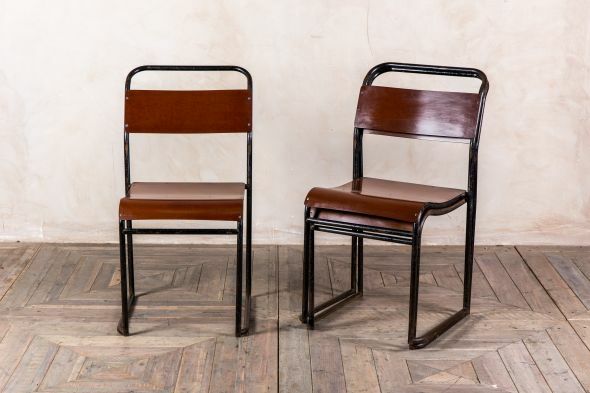 Perfect for an industrial or vintage style cafe or bar, these old school chairs would add character to whatever room they’re placed in. 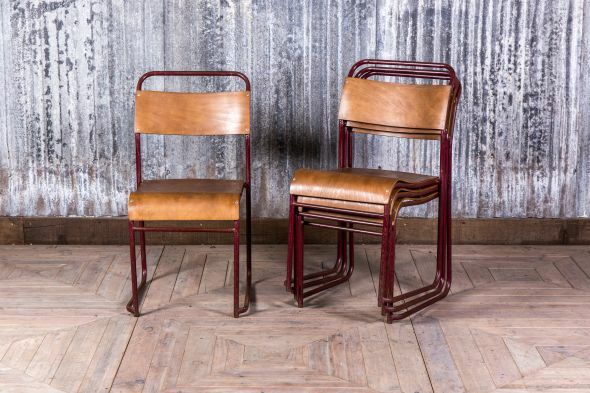 The chairs feature hooked frames, which have retained most of their rustic brown paint colour, perfect for adding vintage charm to any room! 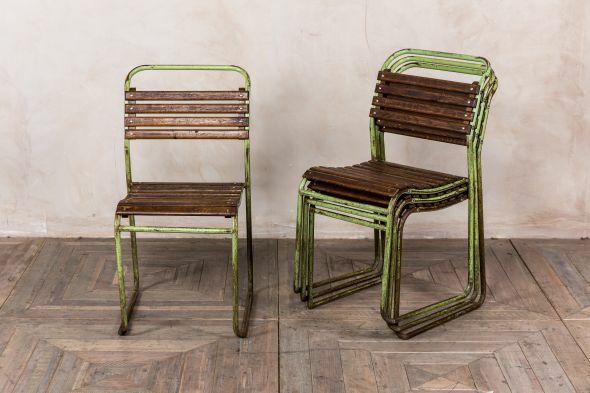 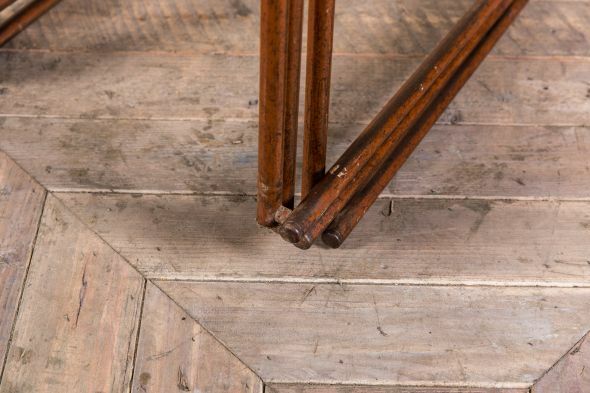 The aged plywood seats of these chairs enhance their vintage charm. 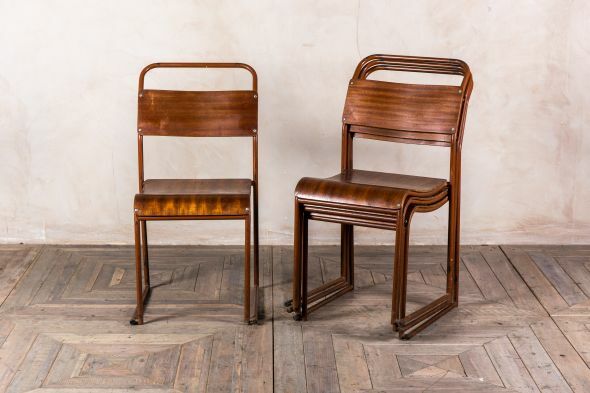 Not only do they look great, but these chairs also stack to save space when they’re not in use. 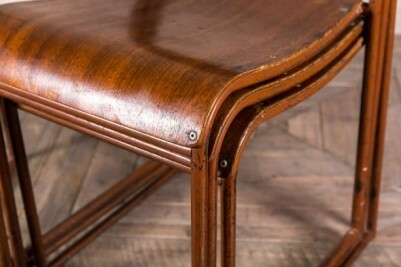 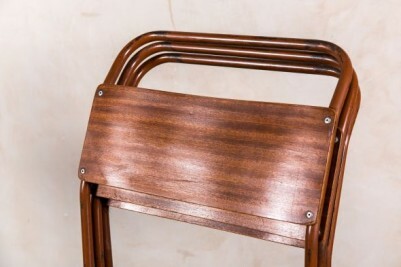 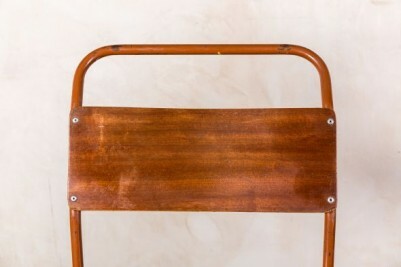 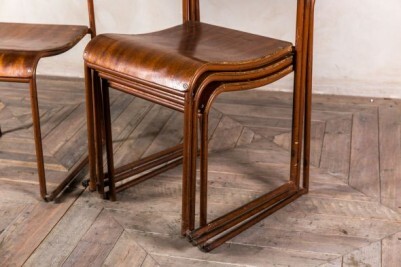 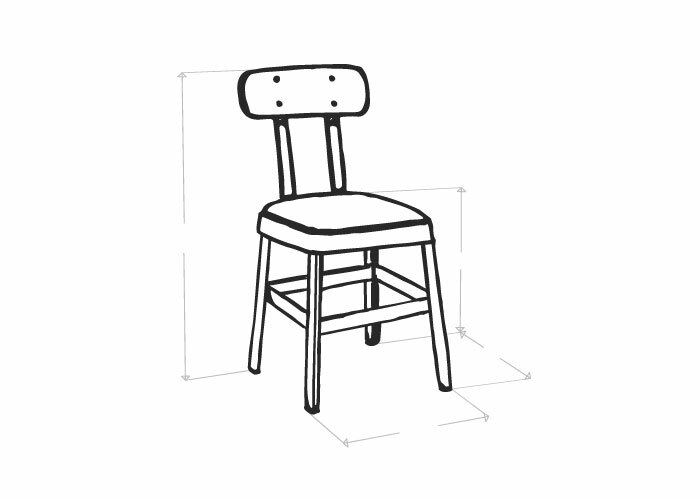 As these chairs are original vintage items, they will have some signs of wear and tear.